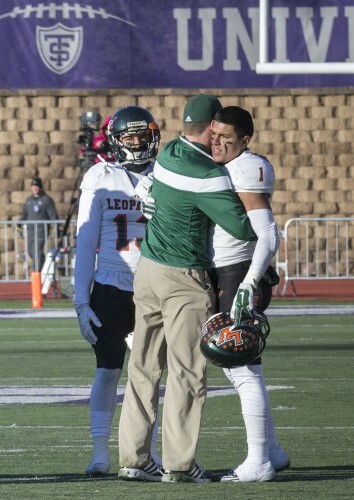 The La Verne football team had its best season in two decades and proved its skeptics wrong by winning its first Southern California Inter­collegiate Athletic Conference title since 1995 with an undefeated record. The Leopards also made their first playoff appearance since 1994. The team traveled to St. Paul, Minnesota and faced No. 3 ranked St. Thomas in the first round of the NCAA Division III championship tournament. 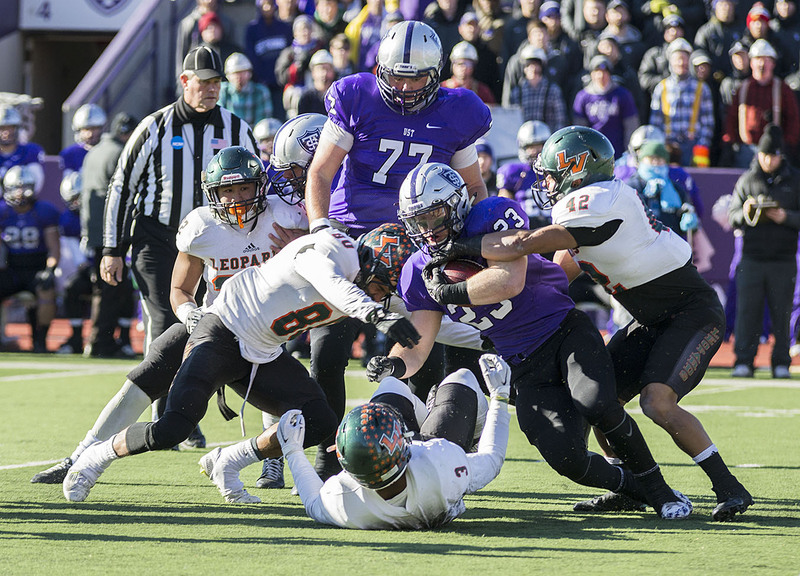 The Leopards’ playoff run was cut short, as they lost 57-14 to the Tommies Nov. 21 at O’Shaughnessy Stadium. The team was plagued by key injuries in the playoff game, such as losing starting quarterback Livingston and junior second-string quarterback Zachary Tomlinson in the first two quarters. They also had to play in a colder environment. But fought through those adversities. Freshman quarterback Josh Evans made his first collegiate appearance, after Tomlinson was injured in the second quarter. He finished the game with 76 total yards and a touchdown. The team wrapped up its season with an 8-2 overall record and 7-0 record in SCIAC. The Leopards started out their season winning their first game against George Fox, but then losing to Whitworth giving them the same 1-1 record they had at the start of last season. Last season, the team finished 2-7 overall and 1-6 in SCIAC and many expected this season to go the same way. The Leopards earned a win against Occidental in their first SCIAC game of the season, followed by a close Homecoming win against Claremont-Mudd-Scripps. La Verne senior linebacker Anthony Penalber broke up a pass in the end zone in the last five seconds of the game against CMS to seal the 32-27 victory. Penalber finished the game with a career-high 12 tackles, and was named Leopard of the Week. He also finished the season with a team-high 78 tackles. The Leopards took possession of first place in the SCIAC after they won their next game, defeating Whittier, 44-3, and Redlands lost to CMS. La Verne then went helmet to helmet against Redlands. Redlands outscored La Verne in the third, taking a 34-28 lead heading to the fourth. But La Verne came back to win 49-42, with junior running back Dallas Parent scored the winning touchdown run. It was the first time in 20 years that La Verne defeated Redlands. Livingston finished his last season with 1,727 passing yards and 12 touchdowns. The Leopards following game was against defending SCIAC champions, the Chapman Panthers. The Leopards were down by a touchdown heading into the second half, but managed to score 21 points in the third, followed by one in the fourth to take a 49-42 win. The team ran for a season-high 421 yards. La Verne also had a big win against the Pomona-Pitzer Sagehens the following week. 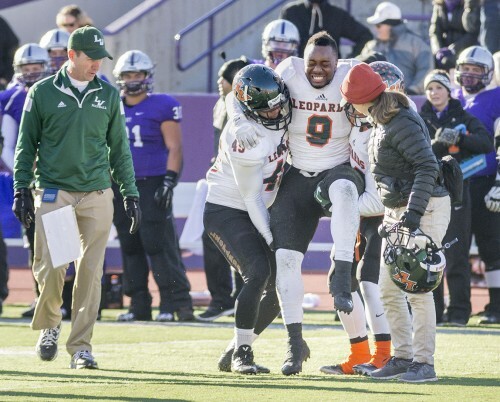 After the 49-35 victory over the Sagehens, the Leopards clinched an automatic berth to the NCAA National Championship, their first appearance since 1994. They also clinched at least a share of the SCIAC title. The next game was a final home stand for the team and La Verne reigned supreme and officially claimed its first SCIAC title since 1995 with a 38-21 win over Cal Lutheran. It was the first time since 2000 that the Leopards defeated the Kingsmen. “It feels good to be in the group that ended their streak so it’s pretty much a great feeling,” junior defensive back Josh Hardy said. Sparks-Jackson ran for 159 yards. 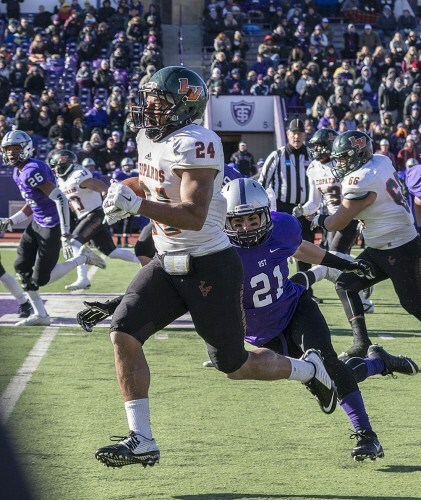 He set La Verne’s all-time rushing yards record with his 41-yard run in the last 10 seconds of the third quarter, breaking the previous record set by Matthew Biggers in 2013. Sparks-Jackson finished the season with 1,521 yards and 3,046 yards overall. He was also selected to play in the annual 2015 postseason all-star National Bowl Game, consisting of top players from non-FBS schools at 10 a.m. Sunday at Ocean Bank Field at Florida International University Stadium in Miami. With the addition of Oscar Rodriguez this season as defensive coordinator on the coaching staff, there were new expectations for the team. Many of the players recall the second day of camp that Rodriguez came in with a spark and told the players to put their ring size on their lockers because they are going to win the championship this year, and that was their mindset heading into the season. La Verne led the conference in players selected on the first and second all-SCIAC teams with 13, including the coaching staff of the year award. “The assistant coaches and the players, they’ve done such a great job all year round and it was just a team effort and any time you get an award like that, it’s based on the team, so it was just a great feeling knowing that we were able to accomplish our goals,” Krich said. 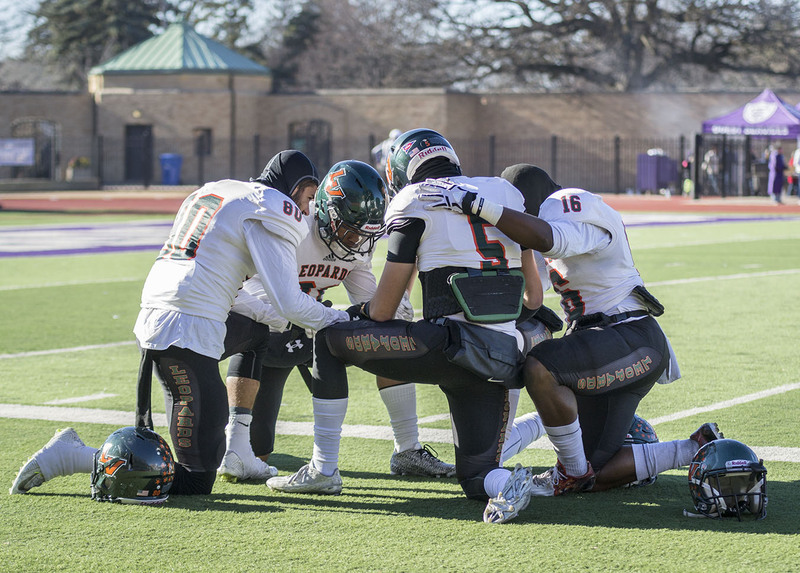 Sparks-Jackson, Hardy, Parent, junior wide receiver Alex Arellano; senior offensive tackle Juan Guerrero; junior offensive tackle Beau Kitson; and sophomore cornerback Eric Acosta were named to the First Team. Livingston, Penalber; sophomore offensive guard Christian Hernandez; freshman defensive tackle Austin Brown; senior defensive end Michael Shepherd; and junior safety Connor Truhitte landed on the Second Team. Expectations for next season are now set at an all-time high by the senior squad. Jolene Nacapuy can be reached at jolene.nacapuy@laverne.edu.